This was a fun project! 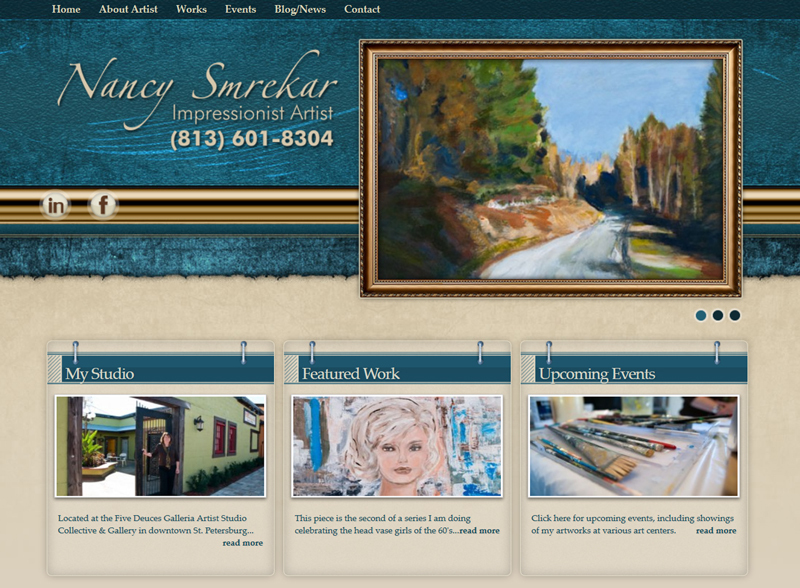 We designed this website for St. Petersburg, Florida Impressionist Artist Nancy Smrekar. We also photographed all her artwork and studio for use on the site. 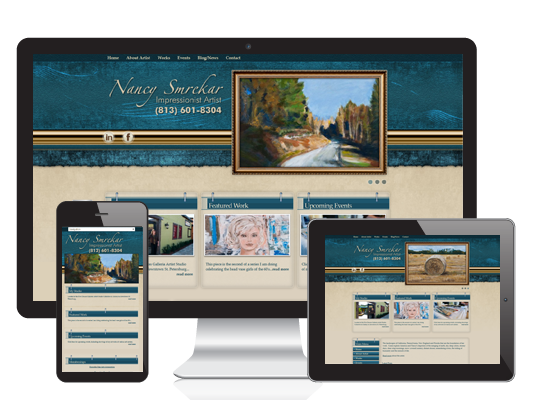 The site is integrated with her Facebook page which makes it a breeze to blog and keep in touch with her followers.